As consumers around the world get used to the convenience of frozen and temperature-controlled food – and the freshness and nutrition it affords – every container, truck and warehouse within the logistics cold chain that supports it, strains to keep up with such demand. 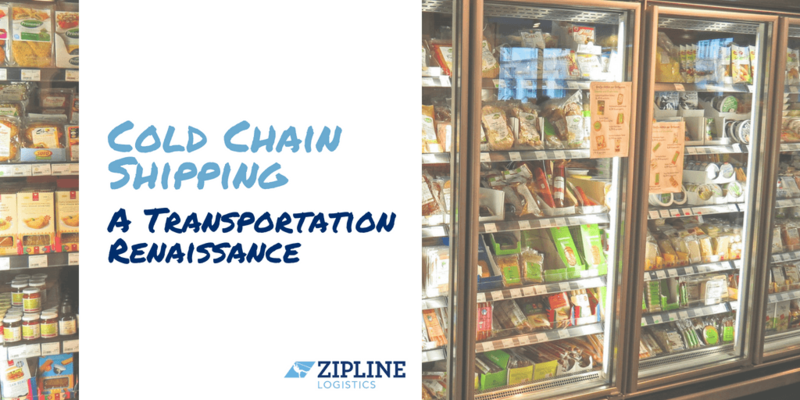 Supply and demand economics of this scenario has created a renaissance for cold chain transport and storage as shippers and logisticians hustle to capitalize on the trend. Journalist Rachel Segal wrote an intriguing feature article for The Washington Post (August 11, 2018) called, “Frozen Food Is No Longer Just the Sad Refuge of Dieters with Office Jobs.” It explored the uptick in the demand for frozen foods as it literally feeds into an increase in healthy eating and the need for a convenient and efficient way to package and consume them. “Consumers are eating more vegetables and protein, and their reservations about eating frozen foods—long dubbed an unsatisfying diet option or loaded with artificial ingredients—are starting to thaw,” Siegel writes. 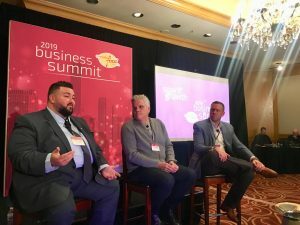 Demand for packaged frozen foods, along with climate-controlled products like fruits, vegetables, meats, cut flowers, pharmaceuticals, and other perishables, are part of the transportation renaissance in cold transport and cold storage that is catalyzing supply chains, domestically and around the globe. This shift is challenging the underlying cold-storage supply chain equipment and infrastructure that supports it. According to Drewry Marine, refrigerated containers constitute 7 percent of total container volumes. Demand for refrigerated container transport has increased by 5 to 6 percent annually in the last five years. Regular container volume increased by only 2 to 3 percent. In general, Drewry says the majority of refrigerated cargo moves from the Southern Hemisphere to the Northern. While they point out that containers, including reefers, move about $4 trillion worth of cargo annually, the demand for shipping cold cargo is about twice as high as non-cold goods. This rising demand will call for the expansion of cold storage as well as refrigerated vehicles. According to Zion Market Research, the global refrigerated vehicle market was valued at around $11 billion in 2016 and is expected to reach approximately $16.5 billion by 2022. 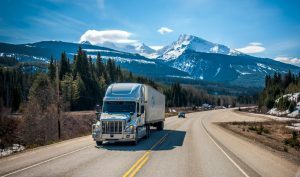 If you’re a shipper, there’s a supply chain dilemma: the demand for temperature-controlled transport is greater than the supply of vehicles and facilities to meet this demand. As noted, the demand is fueled by consumer trends and insistence on fresher ingredients. Consumers want healthier and greener food and beverage products. Capacity is tightest in the cold-chain market. Demand is segmented into temperature controlled (usually chilled) and frozen. Regardless, it all requires specialized equipment. So, the temperature-control fleet population will need to increase as will temperature-controlled warehouses if demand is to be met. The future looks great for the cold transport market. By some estimates, it has and will continue to grow at a steady rate of about 12 percent. Expect to see expansion in refrigerated facilities as well as an increase in refrigerated fleets and containers to meet demand. In California, the Port of Oakland plans to open a 283,000-square-foot refrigerated distribution center known as Cool Port Oakland in summer 2018. Other suppliers are expanding space in Washington state, Houston, Texas, and Utah, among others. This is all happening despite that costs for refrigerated heavy trucks hit a 40-year high last year. Frozen and temperature-controlled foods can be a complicated market to anticipate. However, we predict this growth will continue. Reefer is a difficult mode because different products require different temperature ranges, which vary from chilled to frozen. And you can’t simply freeze everything or stay at an average temperature. Each product requires a specific range for safety and product quality purposes. This becomes particularly complicated for LTL shipments, where multiple products share one truck. Add to this issue that there are too few trucks and warehouses for too many temperature-controlled food products. Alas, we have a supply chain dilemma on our hands. Will supply rise further to meet demand and what will the final outcome of pricing be?